$5.99 for a bowl of Thai noodle soup? 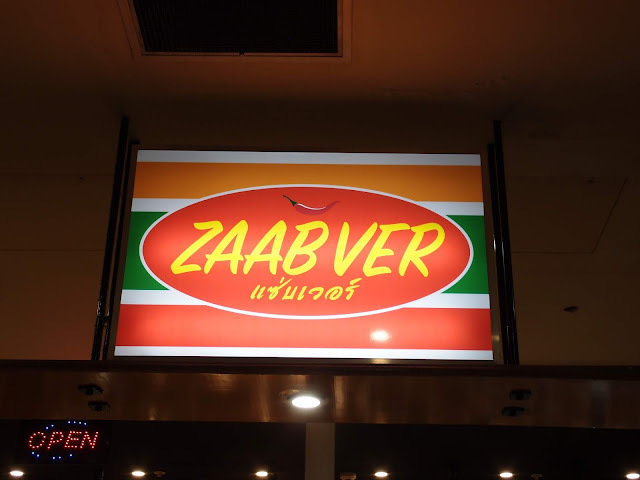 A hot lunch doesn't get much better for a few bucks at Zaab Ver. 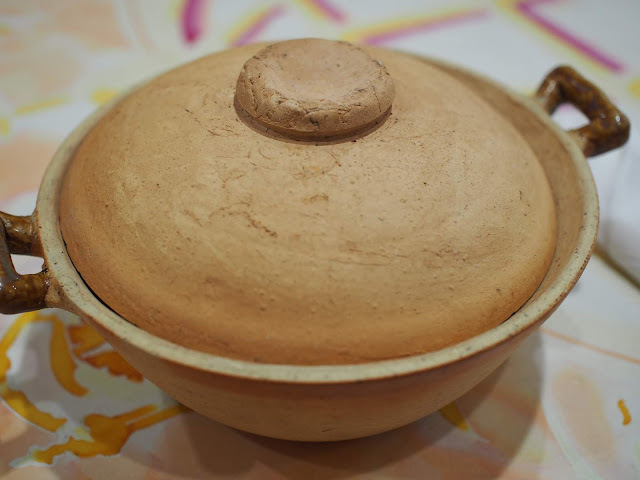 We just love the way the soups are served in claypots here. It's like a surprise soup when you lift the lid, the pots are pleasing to the eye as well as your mouth. $5.99 will get you one of three styles of soup - chicken, pork or soft pork bone. You can upgrade to a larger style soup for $8.99 (still a bargain). There's plenty of meat and noodle in either, go for the upgrade if you're really feeling hungry. We love the soft bone pork, there's something so pleasurable in biting down on that cartilage and feeling it softly crack in your teeth, knowing it wasn't your own teeth giving way. 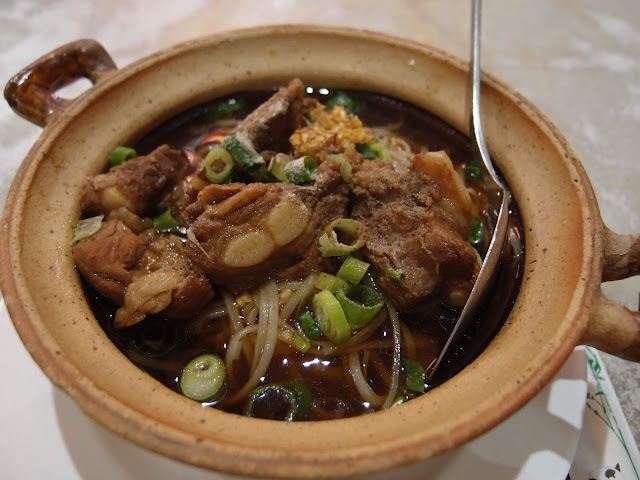 The soup is a dark soy style with rice noodles and you can add chilli, chilli vinegar and the Thai favourite, sugar, to taste at the counter. 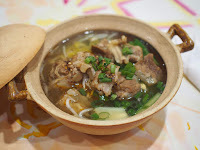 The chicken noodle soup option is a much plainer option, if you like a spicier soup you'll be pouring on extra chilli and we recomend you do, along with some vinegar and fish sauce. If you don't like heat, you'll find it just right. 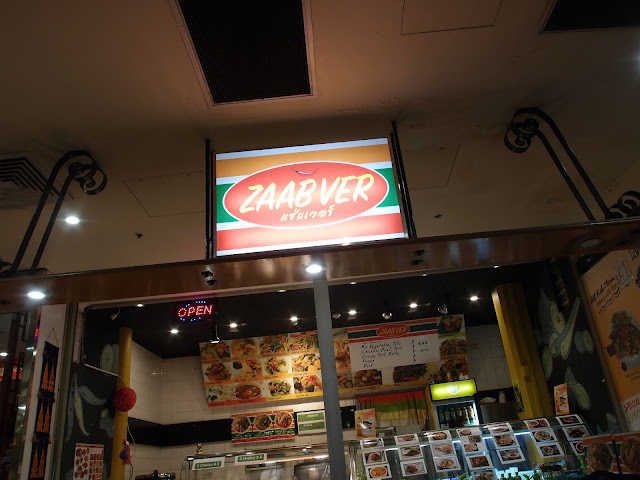 There's also a bain-marie-of-love for those without a soup desire or who can't wait for their meal to be cooked. We tried the pork larb and a bowl of pork cartilage and egg, with change back from a tenner. Zaab Ver is just inside the Broadway Food Court, near the Hub House Diner entrance. Good find. How the hell do they make money? There's never even that many people in that food court.